A good roommate is essential to a flourishing college career, but having a GREAT roommate has the capability of giving you a friendship that will last a lifetime. Although it might be time to change it up, finding a new roommate is scary. What if this person isn’t what I need? What if this person has a strange poster of Bill Nye the Science Guy that this person insists on hanging up right above my bed? While the last concern was improbable, there are many questions you should ask a person before choosing them as a roommate. These questions should help you find peace in your new living situation. I have outlined some of these important questions below. 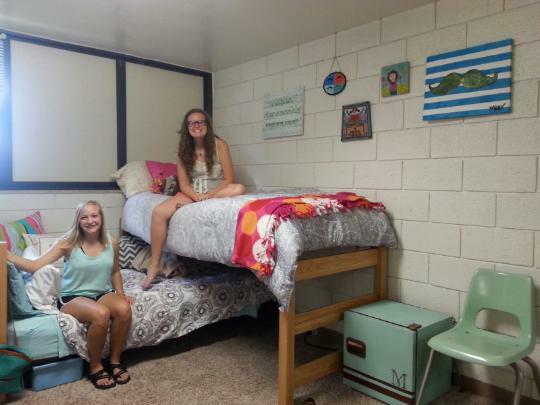 Do you have a roommate for next year? While this may seem like an obvious first step to a conversation about rooming together, it might not be so obvious to some. This question opens up the conversation. If this person you are talking to does already have a roommate lined up for next year, then you should ask if he or she knows someone who is also in need of a roommate. This is an important question because it tells you how much time that person plans to be in the room. Your possibly new roommate could be introverted and never leave the room, or your possibly new roommate could be extroverted and always be out with friends or at events. This person could have family that lives close and go home every weekend. It is nice to know these details to figure out what your next year will look like with this new roommate. You don’t want to be tiptoeing in a dark room at 10 p.m. if you normally go to bed at midnight, and you don’t want someone waking you up if you like to go to bed abnormally early. The time right before going to sleep is a perfect time to bond with your roommate and ask them about his or her day. How much do you clean? If you want to live in filth, then find a roommate that is also okay with that. If you are very particular about cleanliness, then find someone who can match that to a degree. It is hard to find someone who matches your cleanliness, but make sure you complement each other well when it comes to how much filth is allowed. If you are open and willing to get out of your comfort zone to ask these questions to your fellow SNUdents, then I am sure you will be able to find your GREAT roommate. I’d even bet on it (Yes, HSM2 again).